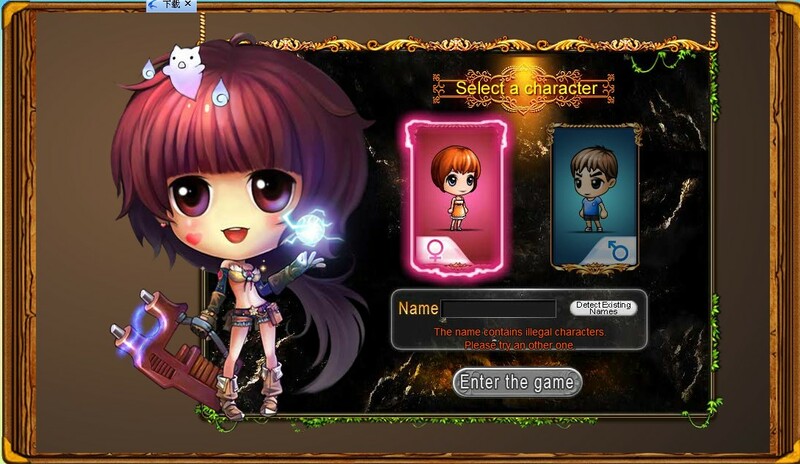 After first time login, character creation page will appear. 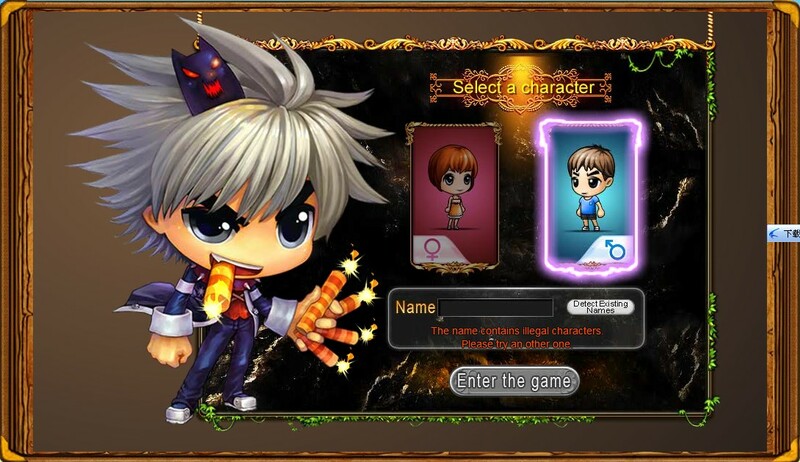 There are two cards to choose, representing male and female character. Click the card and see exquisite enlarged CG animation display. Beautiful heroine, gentle but strong personality can destroy anyone who are plotting evil. Cool hero，hidden under his cynical view of the world is a spirit of persistence and kindness.